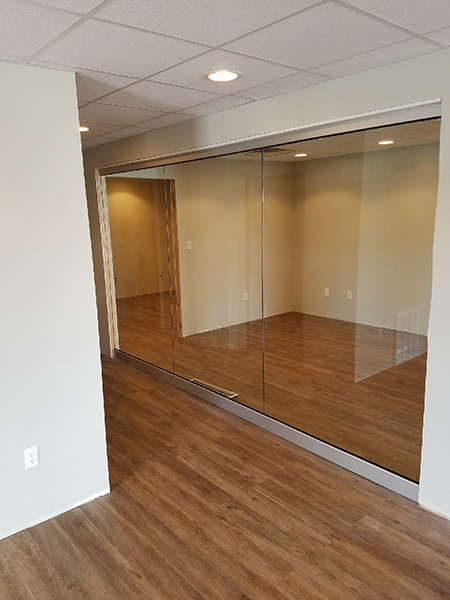 Royal Glass installs internal glass wall partitions for office spaces in Fairmont, Clarksburg, Morgantown, and north-central West Virginia. Varying degrees of transparency are available, including sandblasted/frosted glass. Your company logo can be applied via screen printing, as well. Our glass walls allow you to have the very best of both worlds: an open, flowing workspace full of light and maximum privacy and soundproofing when desired. Contact Royal Glass to schedule a free consultation and estimate and let us show you how we can transform your office from dull and boring to a magnificently stunning environment that your employees will be proud to work at, and which will leave a lasting impression on your customers, as well. Call: (304) 366-3791.